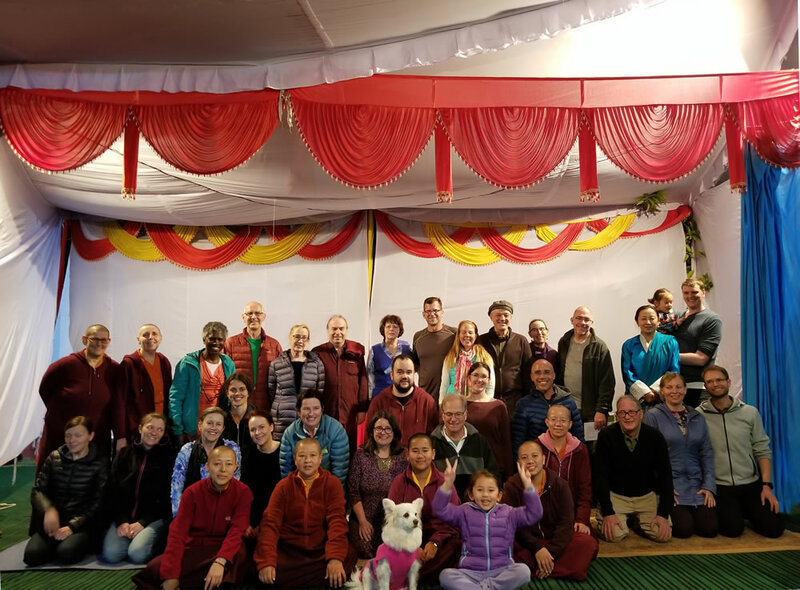 The year 2018 began most auspiciously with the Mindrolling family, rinpoches, monks, nuns and many Western sangha members entering intensive solitary retreat in many locations throughout the world. 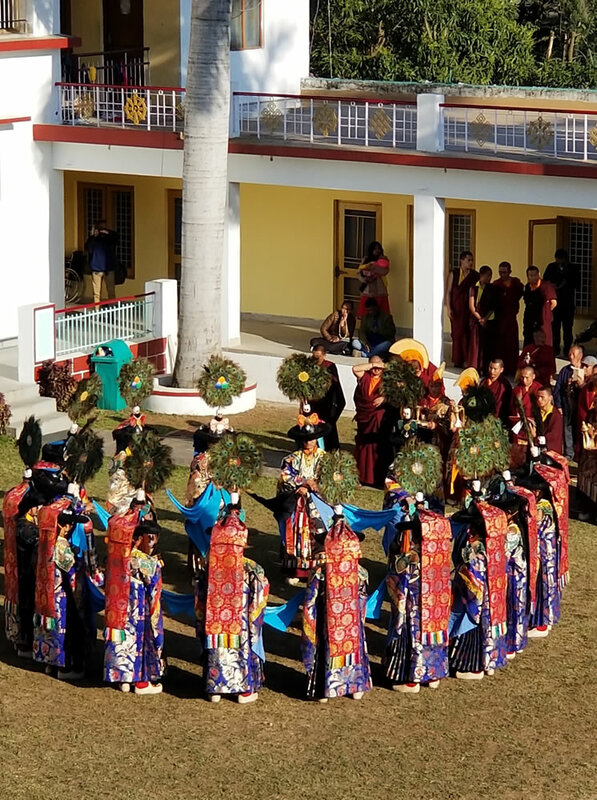 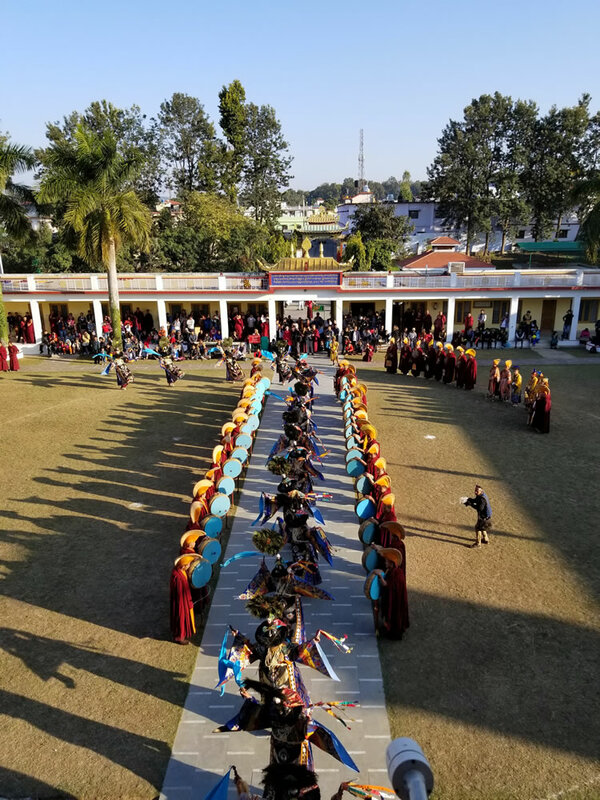 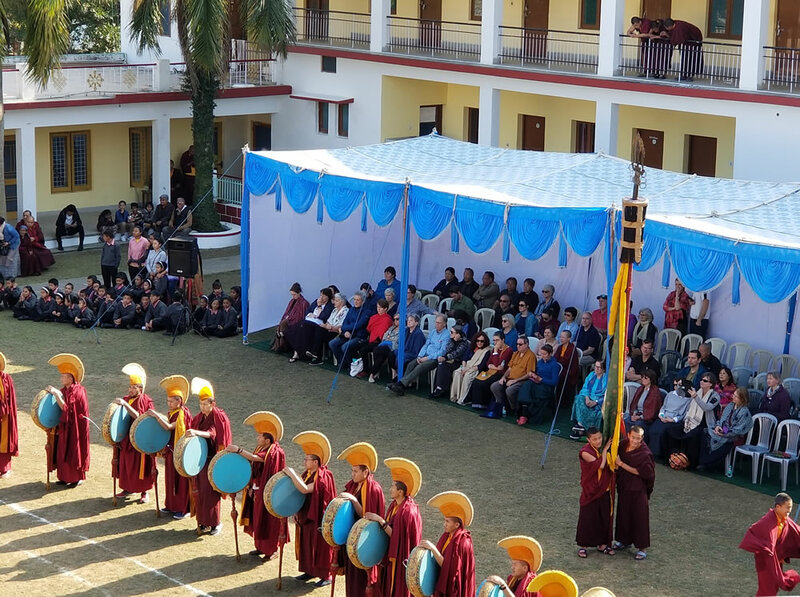 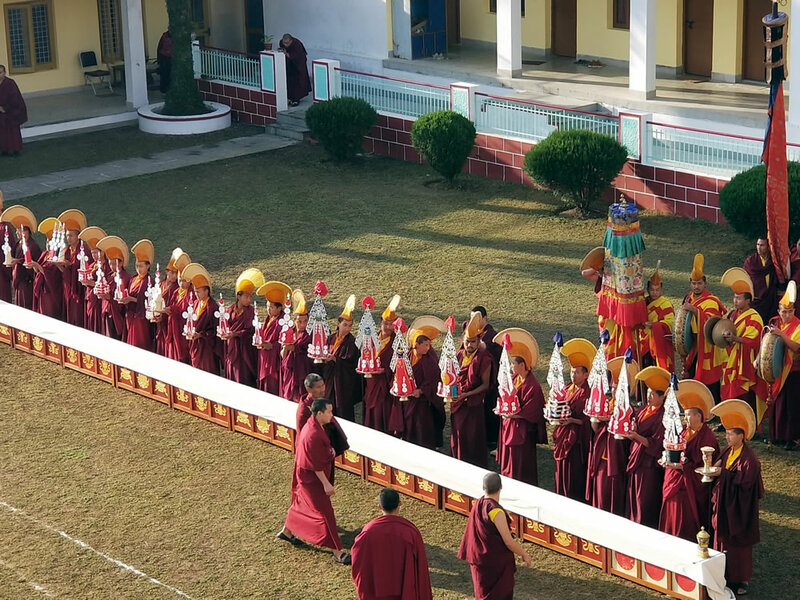 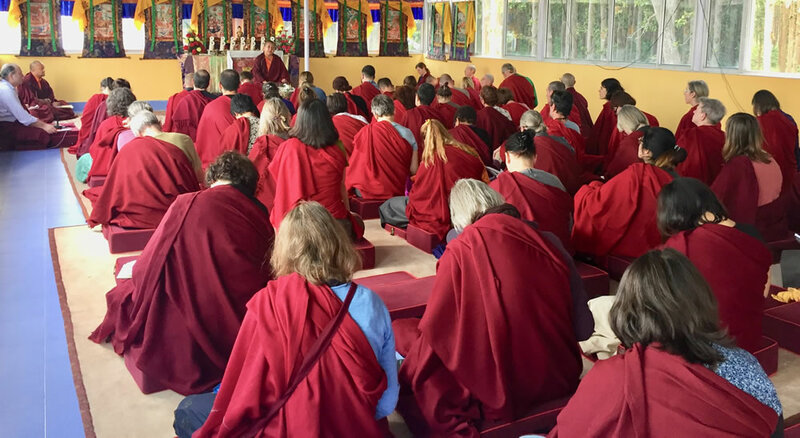 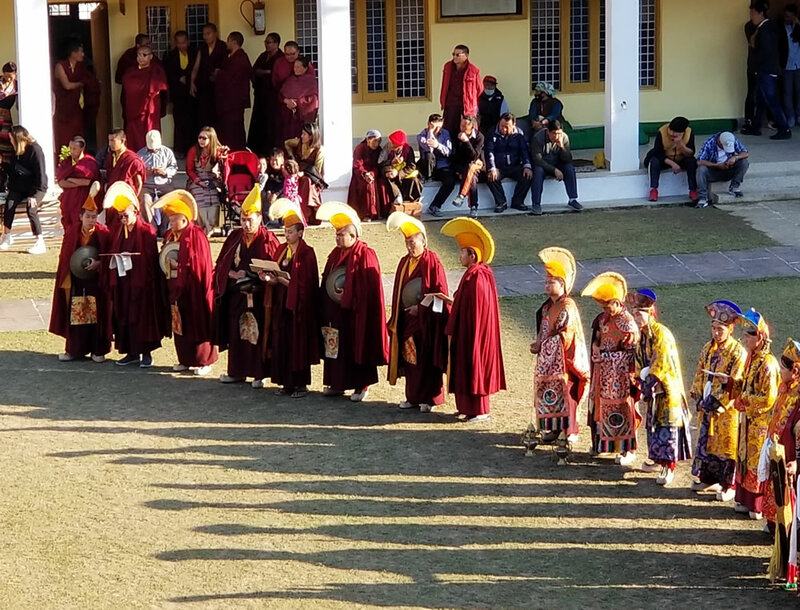 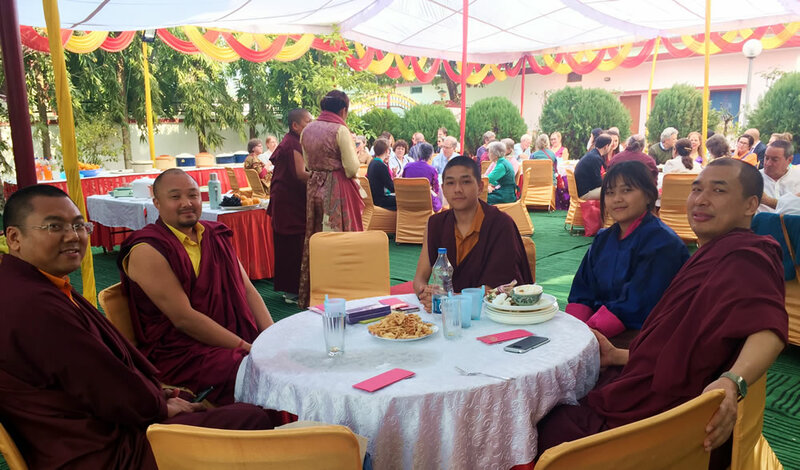 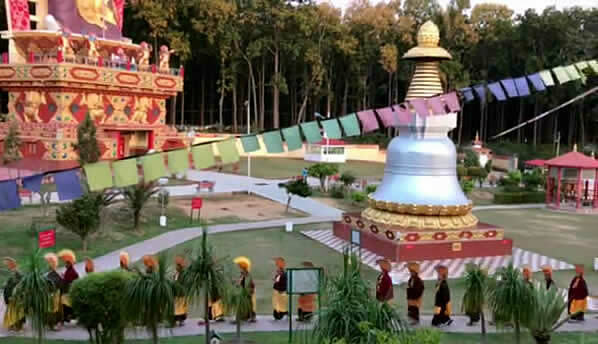 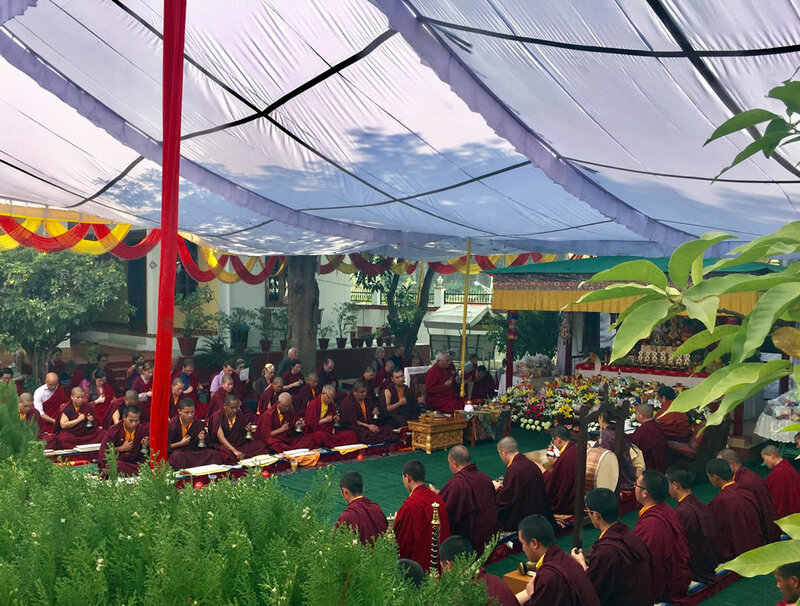 In the following month, beginning February 3rd, close to a hundred members of the international Mindrolling sangha gathered at Mindrolling Monastery in Dehra Dun, India, for an incredible extended retreat under the guidance of HE Mindrolling Jetsün Khandro Rinpoche. 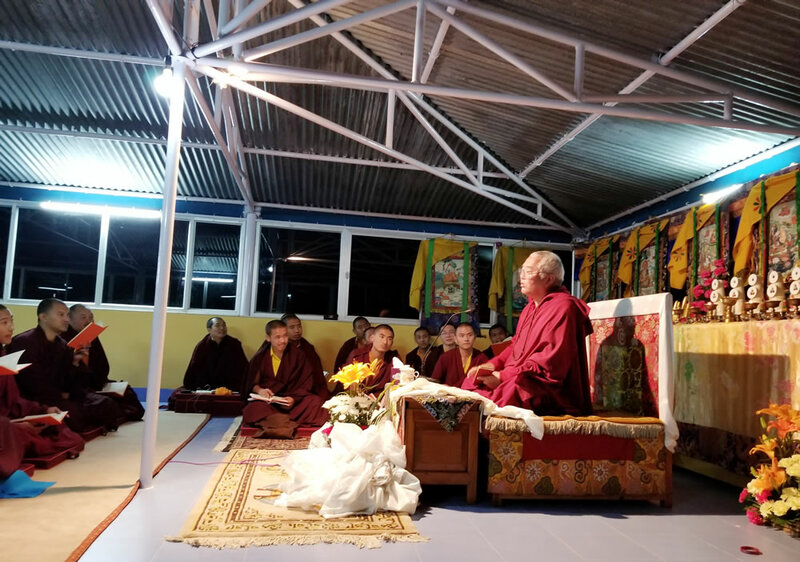 During phase one of the retreat, Jetsün Khandro Rinpoche generously bestowed numerous profound teachings on the Path of Meditation in the three yanas. 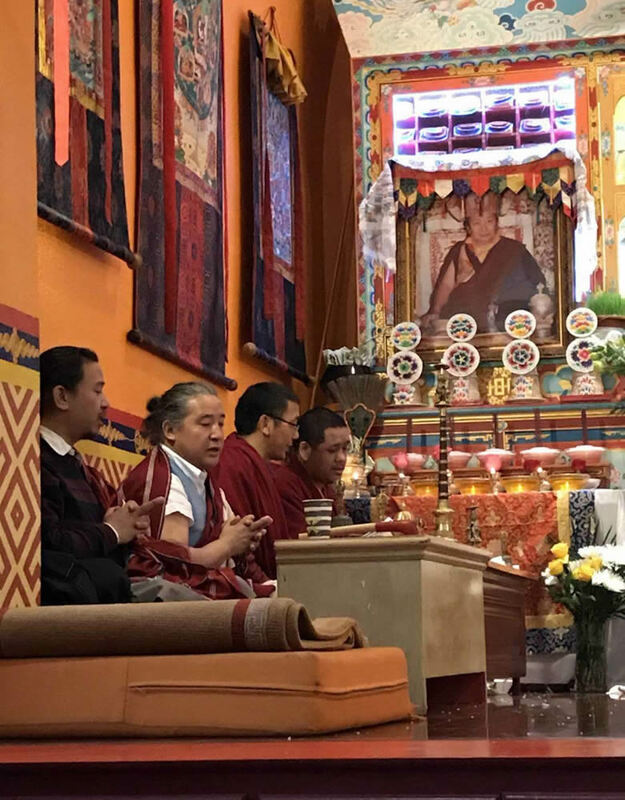 Venerable Thinley Gyaltsen, Venerable Sonam la and Anila Tsultrim Dechen led morning and evening sessions of group practice. 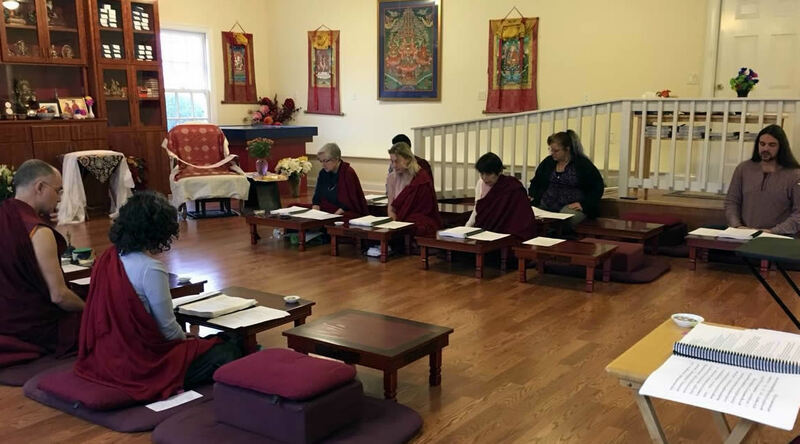 Sangha members spent the day circumambulating the Great Stupa, receiving teachings, practicing individual sessions and meditating in the beautiful lineage shrine room of the Great Stupa. 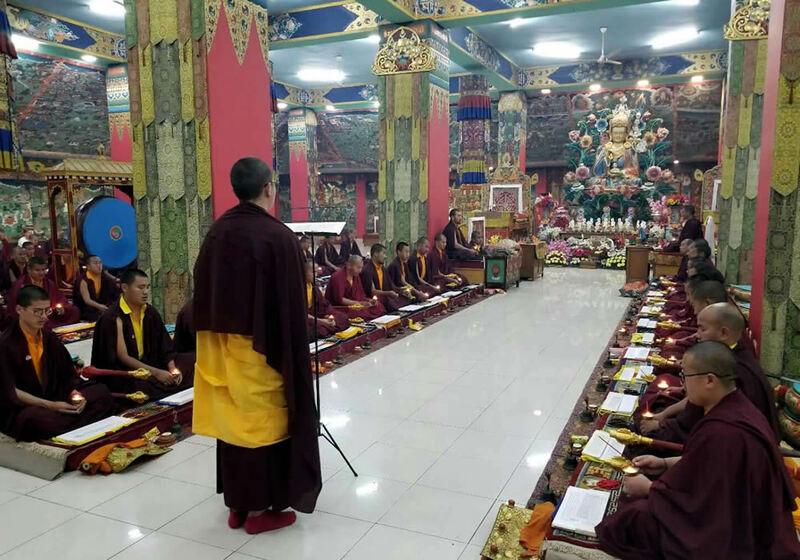 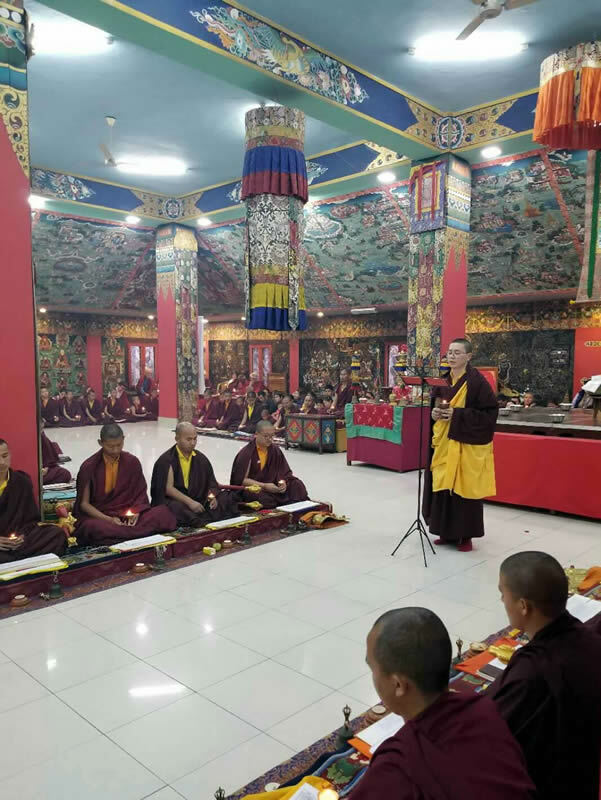 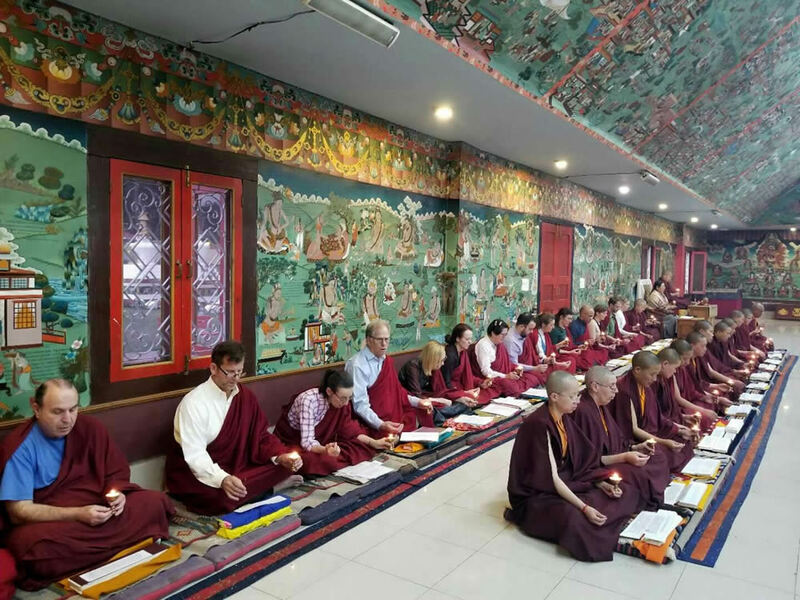 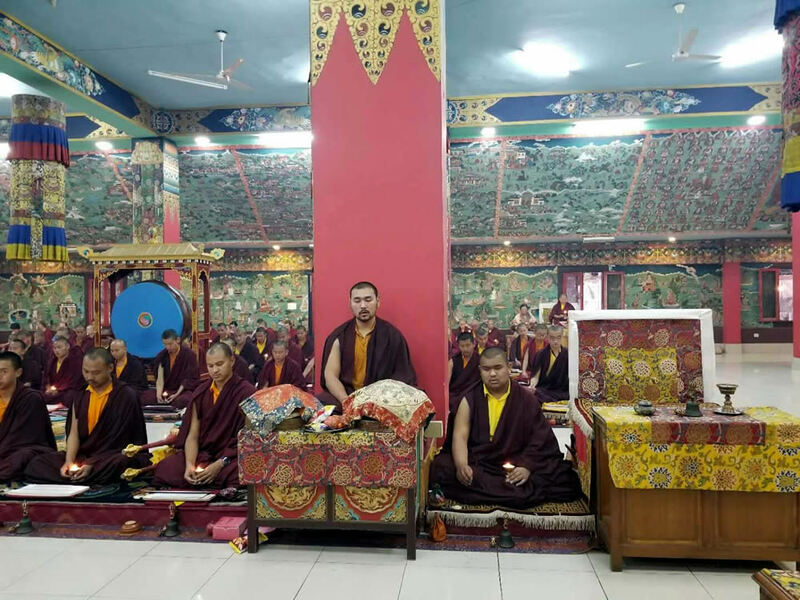 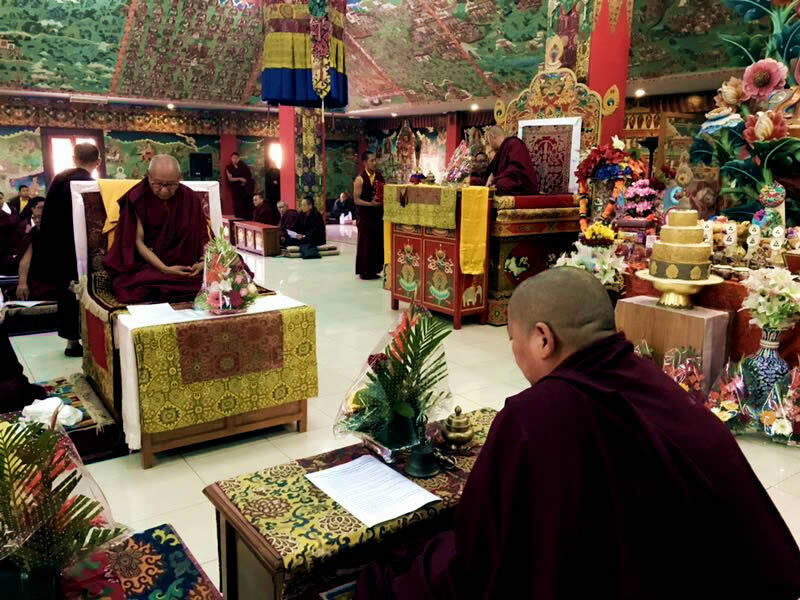 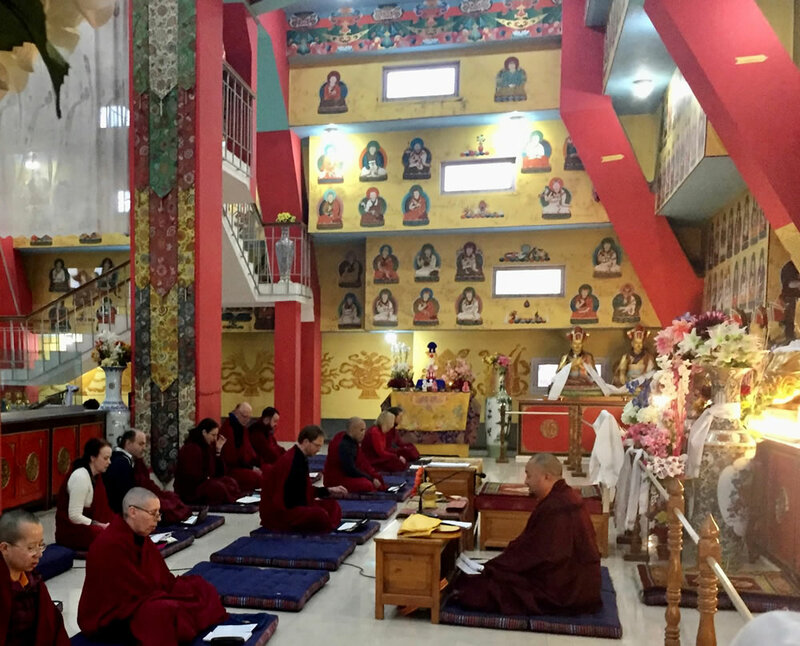 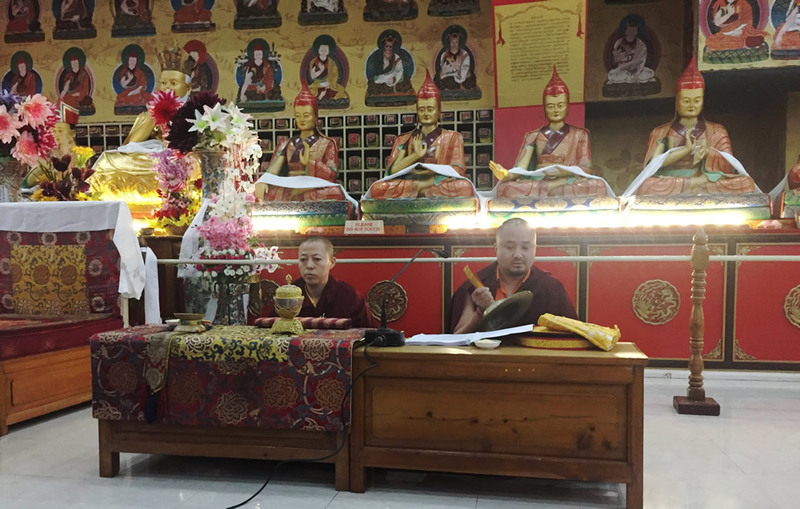 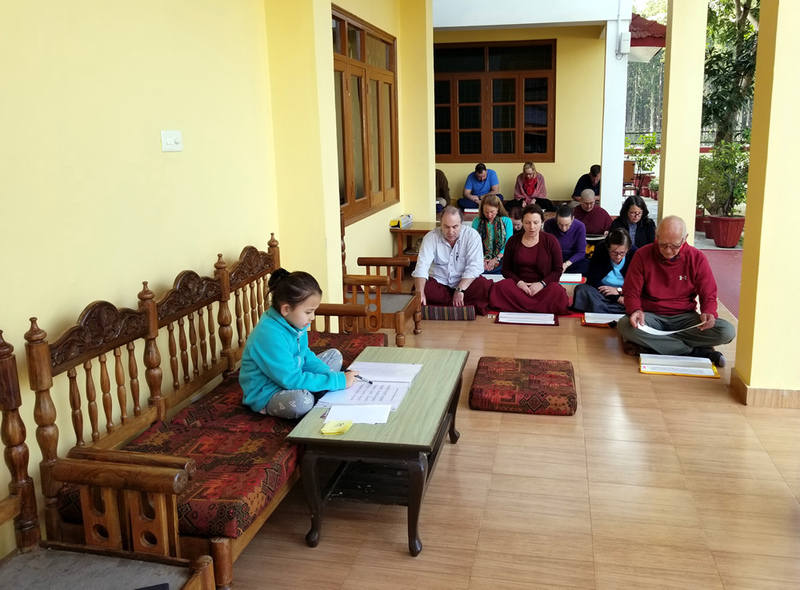 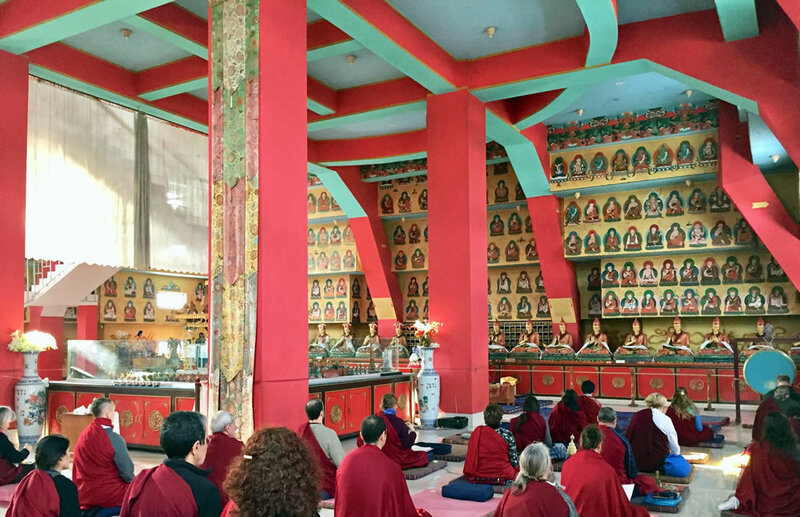 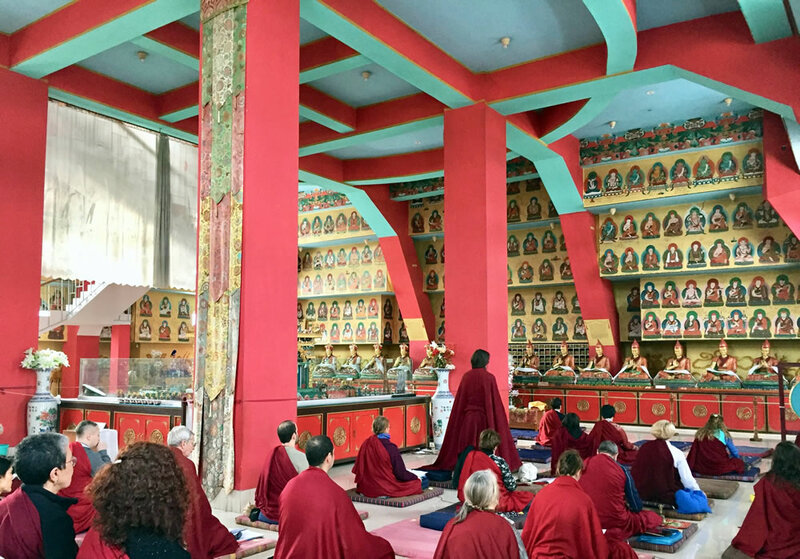 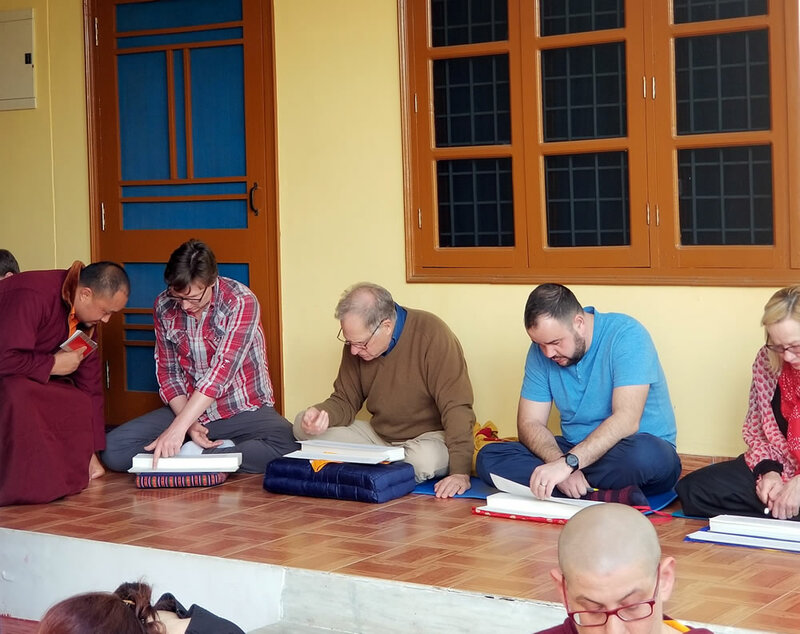 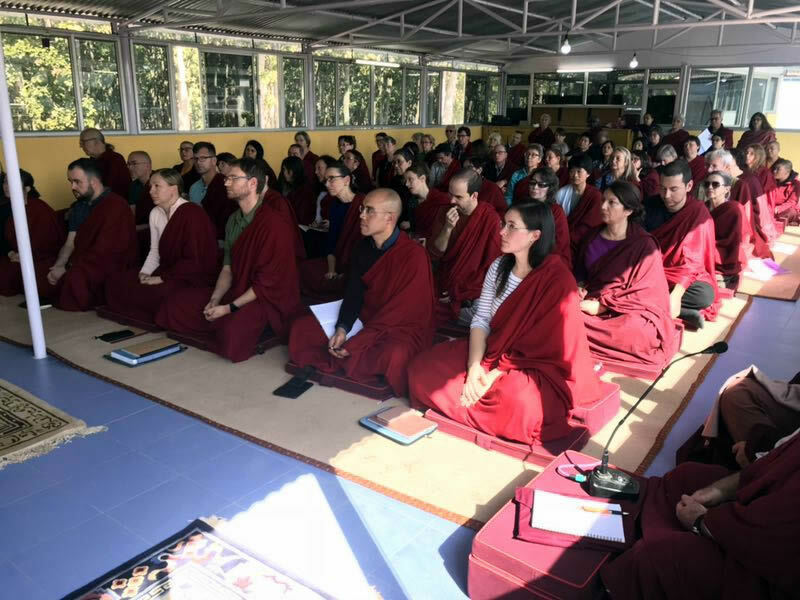 Intensive classes in reading traditional Tibetan texts and ritual practice were held under the careful guidance of the senior monks of Mindrolling with a select group of Mindrolling international sangha members training under the watchful eye of Ven. 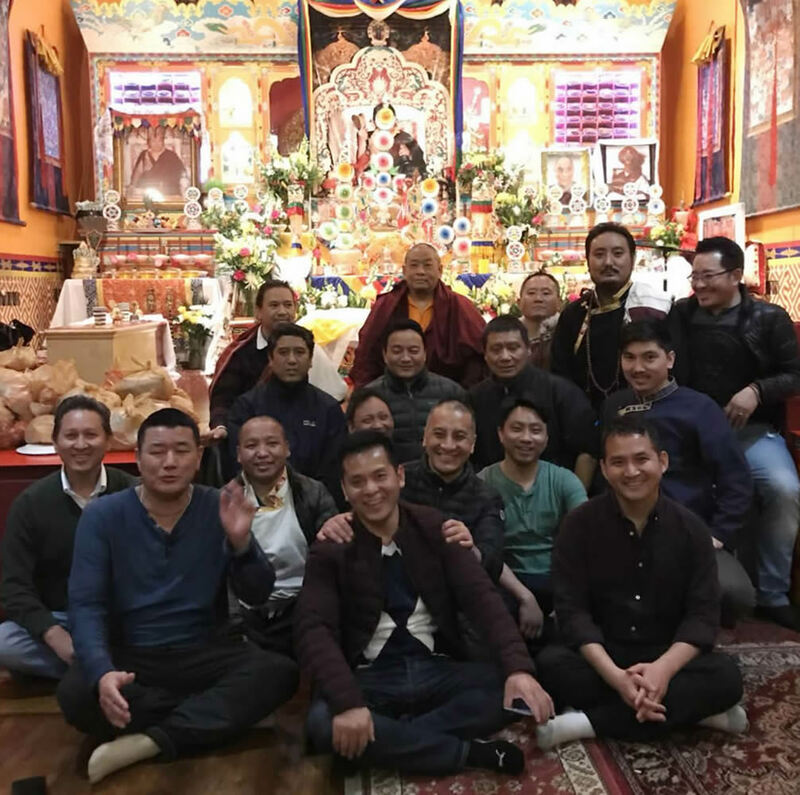 Thinley Gyaltsen and Ven. 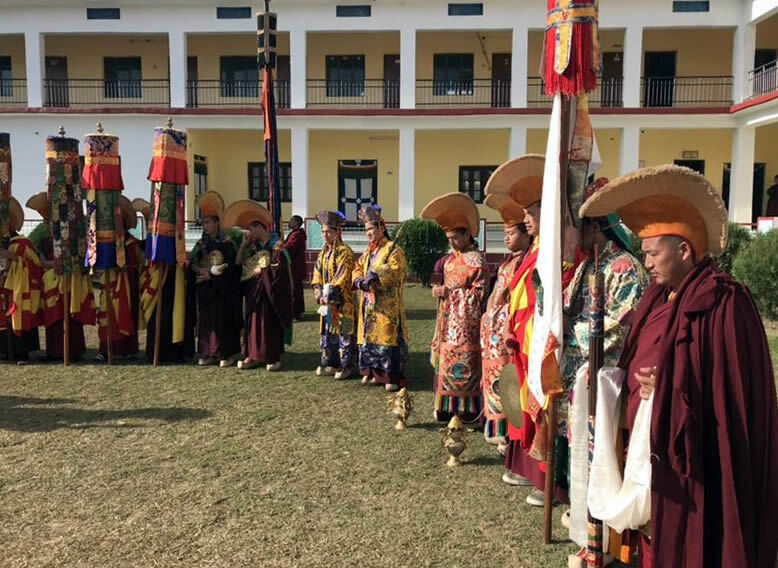 Sonam Topgyal la. 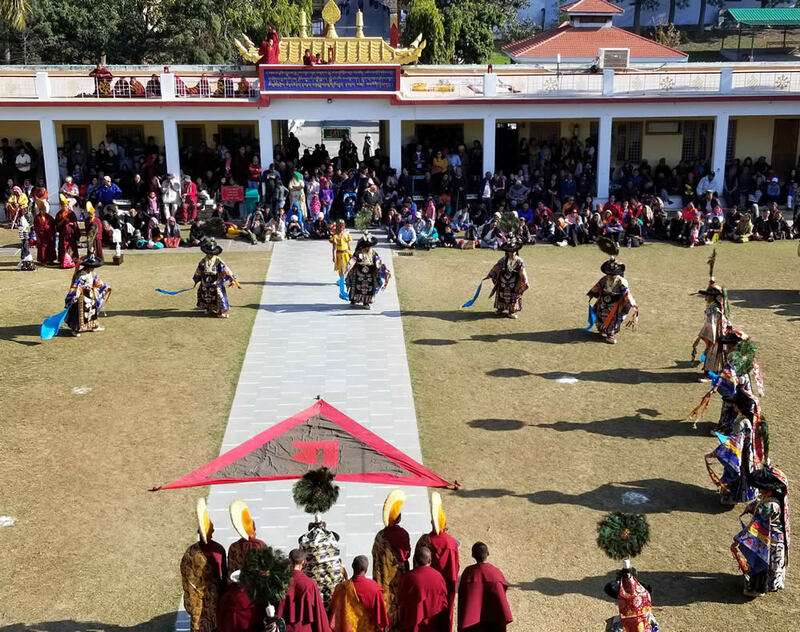 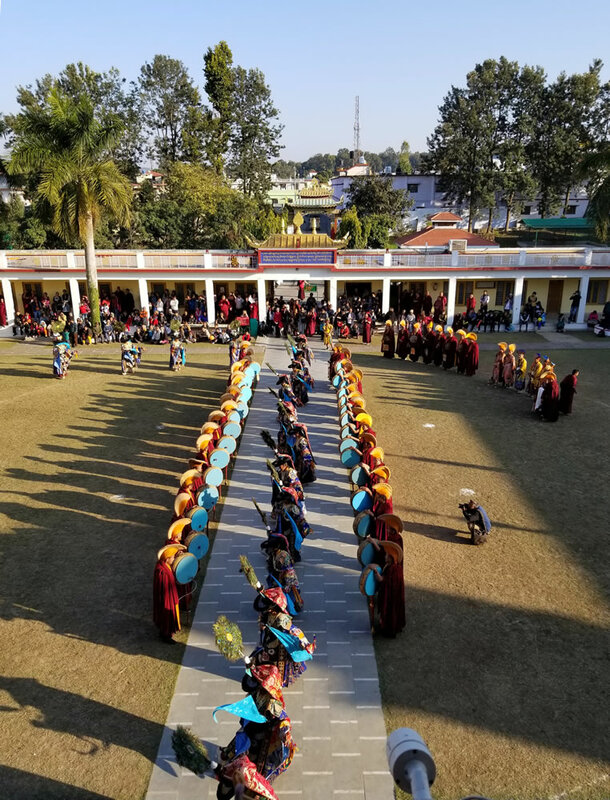 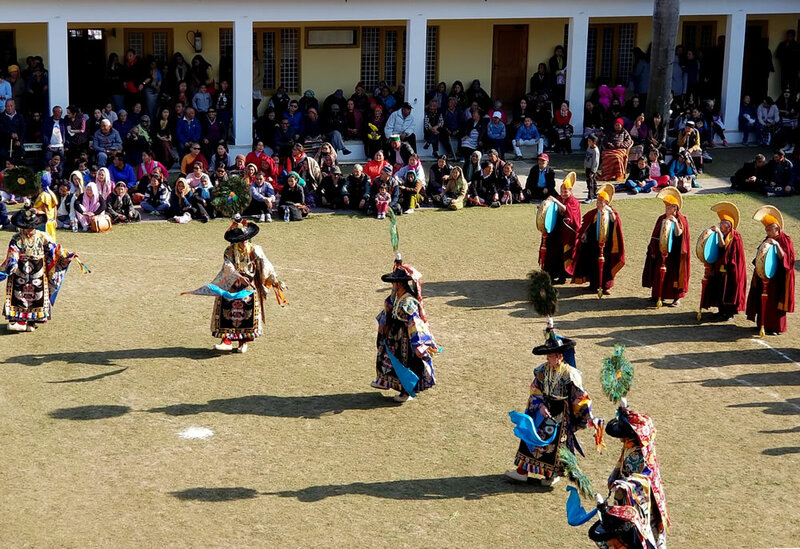 Phase one of this precious retreat ended with a wonderful opportunity to witness the spectacular and inspiring Cham (ritual dances) and Yamantaka Drubchen of Shinje Drekjom performed by the monks of Mindrolling during the end of the lunar year. 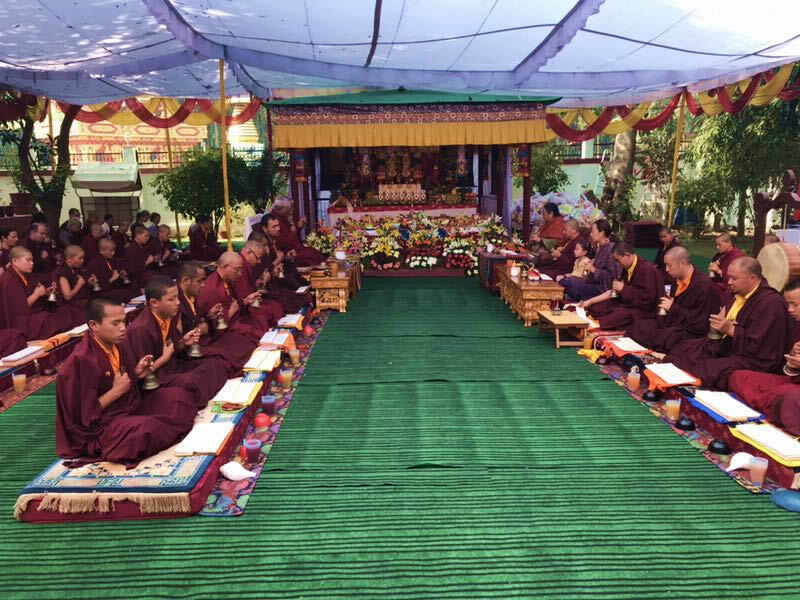 The most Venerable Dagpo Rinpoche also began teaching the tulkus, monks and nuns of Mindrolling during this period. 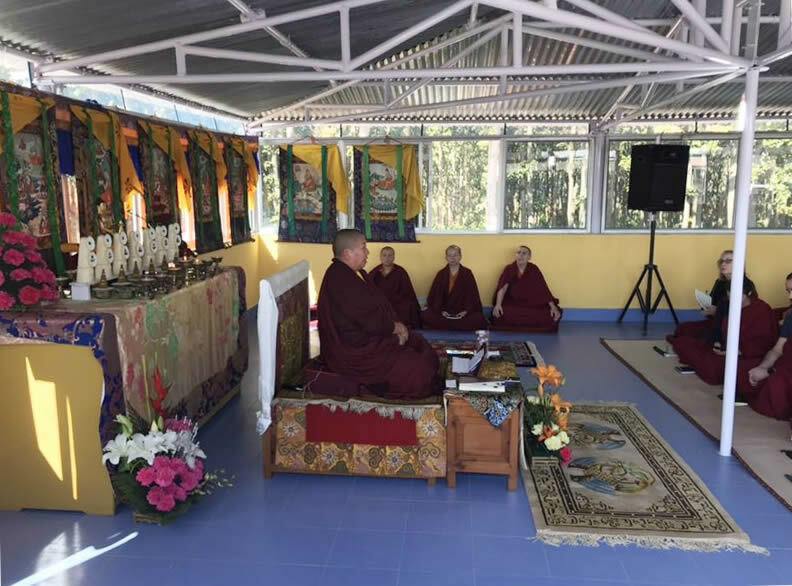 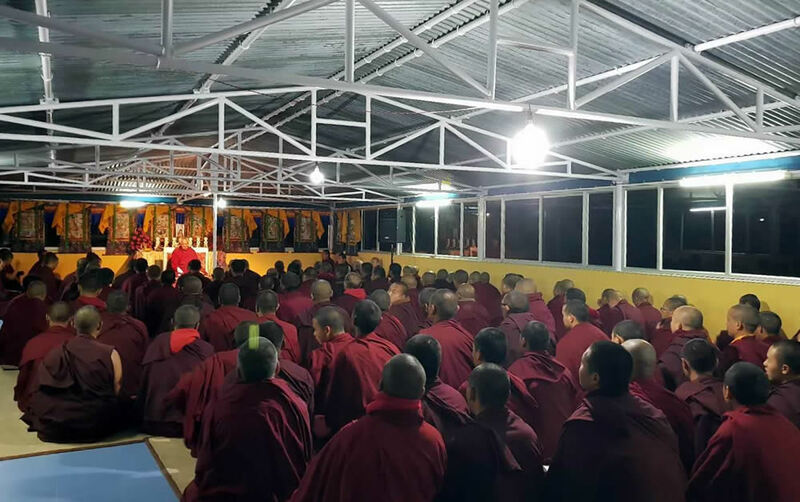 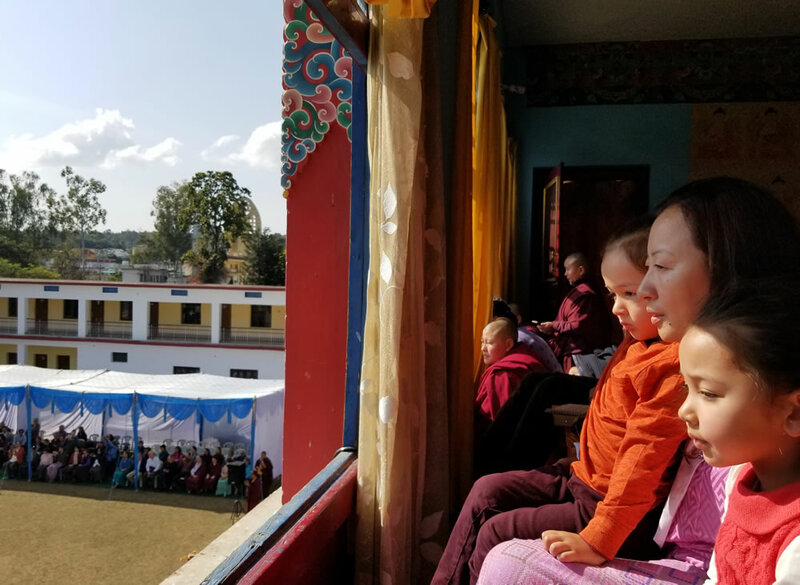 The month long teaching on Kye-Dzog, as well as many profound pith instructions given by Rinpoche greatly inspired the monks and nuns and deepened their understanding of Vajrayana practices. 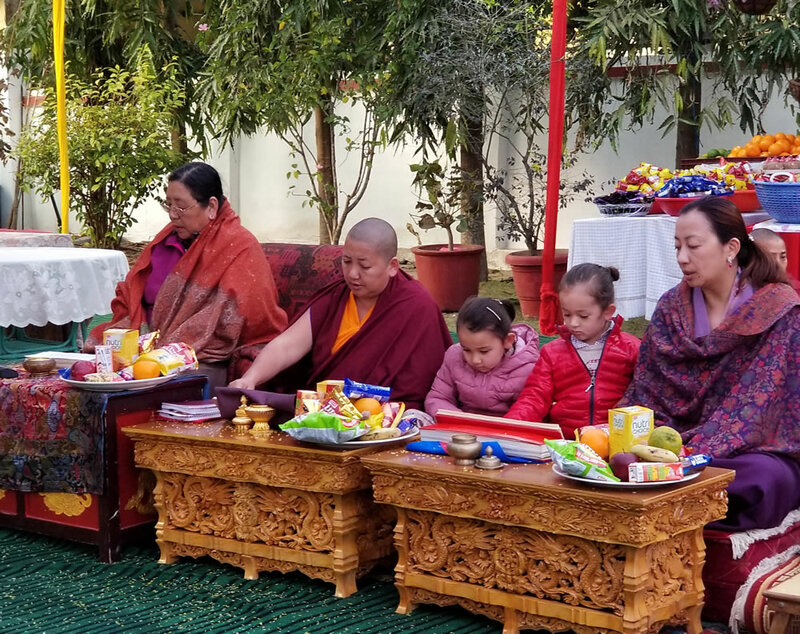 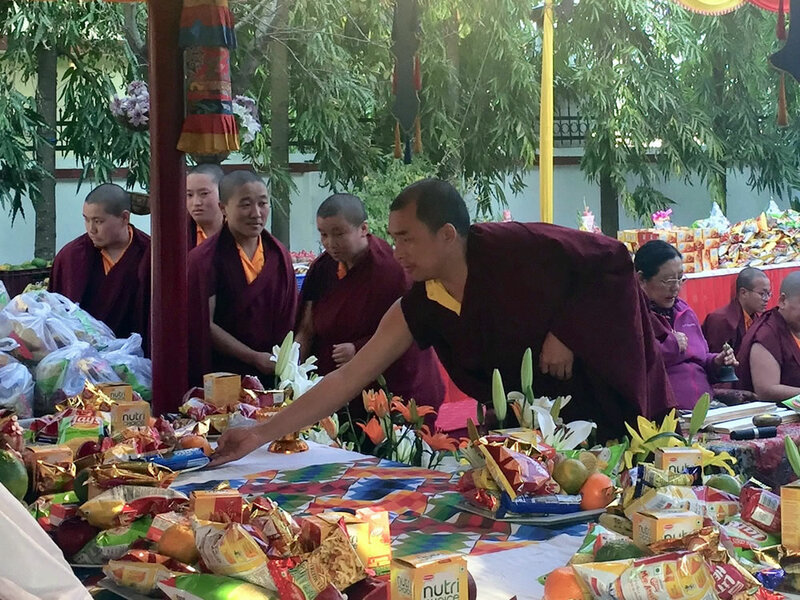 The retreat included the Losar or the Tibetan Lunar New Year with everyone making many auspicious prayers and butterlamp offerings. 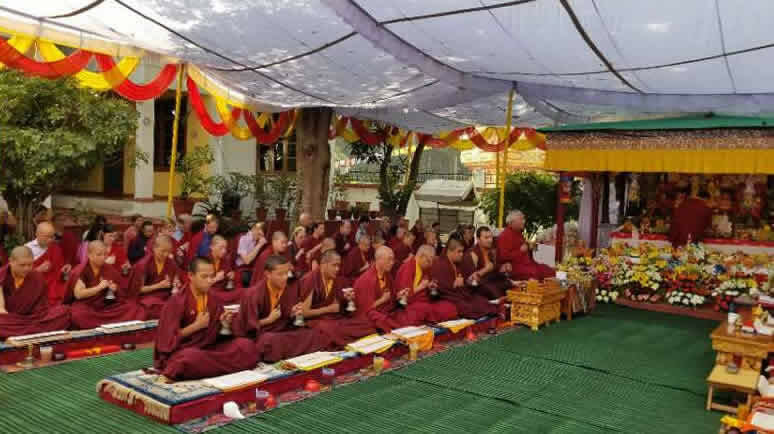 Losar celebrations were cancelled this year in respect for the loss of many loved ones within the Mindrolling sangha. 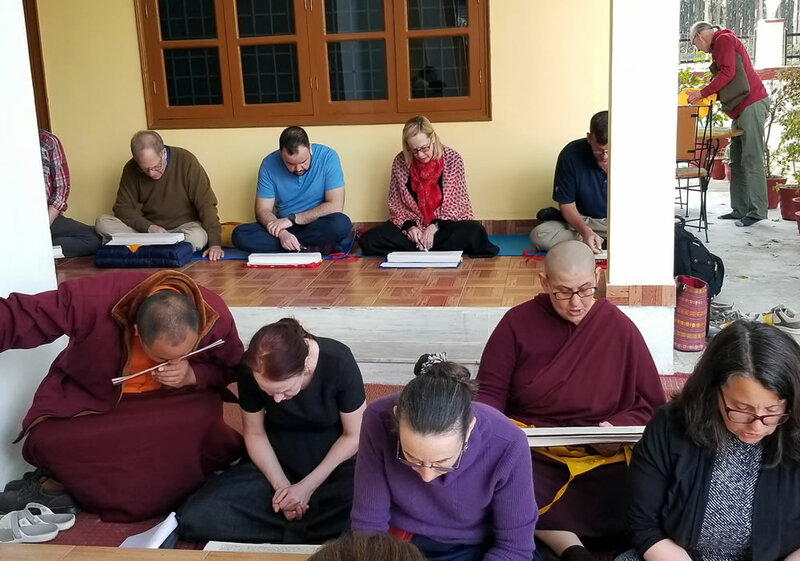 Instead, all sangha members spent more time with prayers and practices. 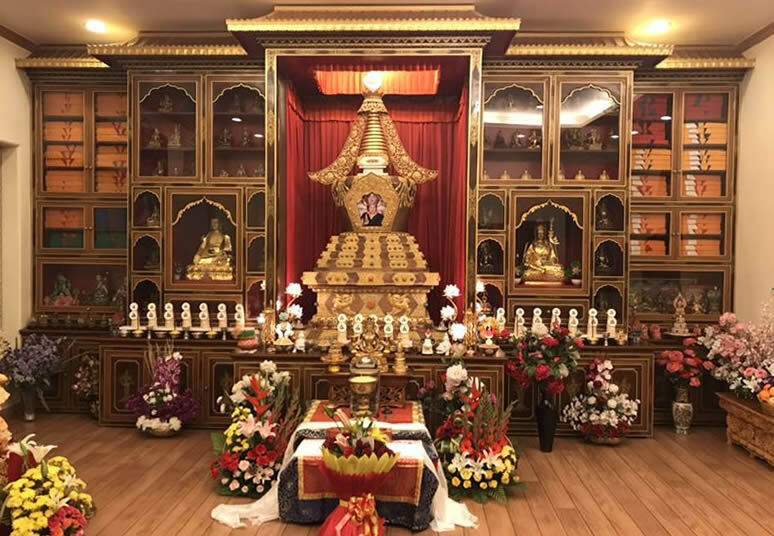 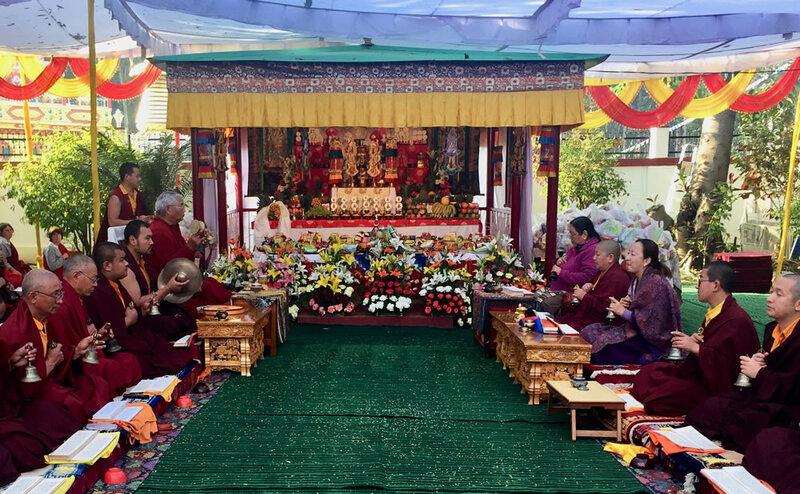 On the 18th of February, the entire family and Mindrolling sangha members commemorated the 10th Parinirvana Anniversary of our peerless root guru, Kyabje Mindrolling Trichen Dorje Chang. 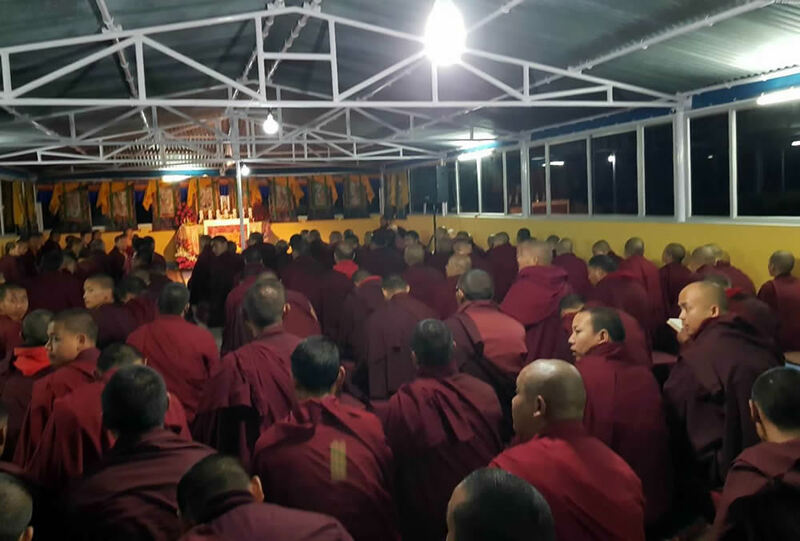 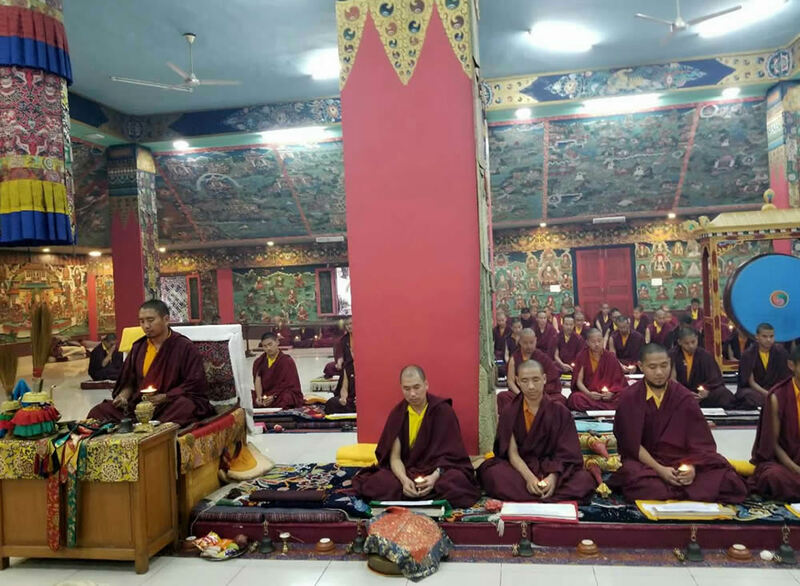 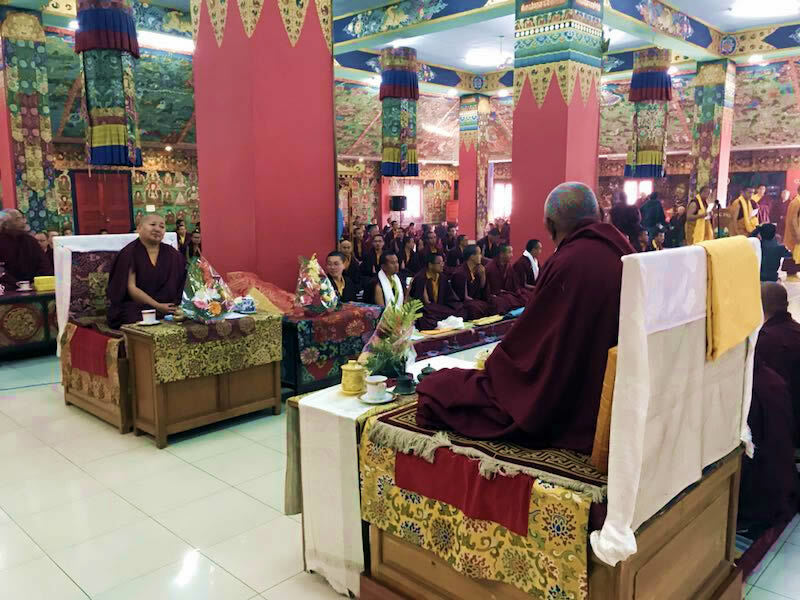 The entire sangha came together to practice the profound sadhana of Minling Dorsem led by Venerable Dagpo Rinpoche and Minling Umdze Venerable Choktrul Jigdral Ngawang Kunga Rinpoche. 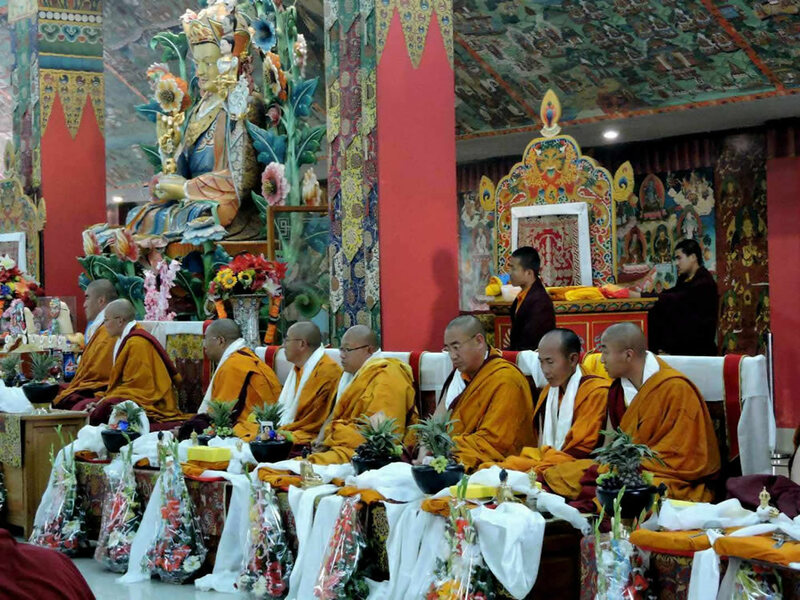 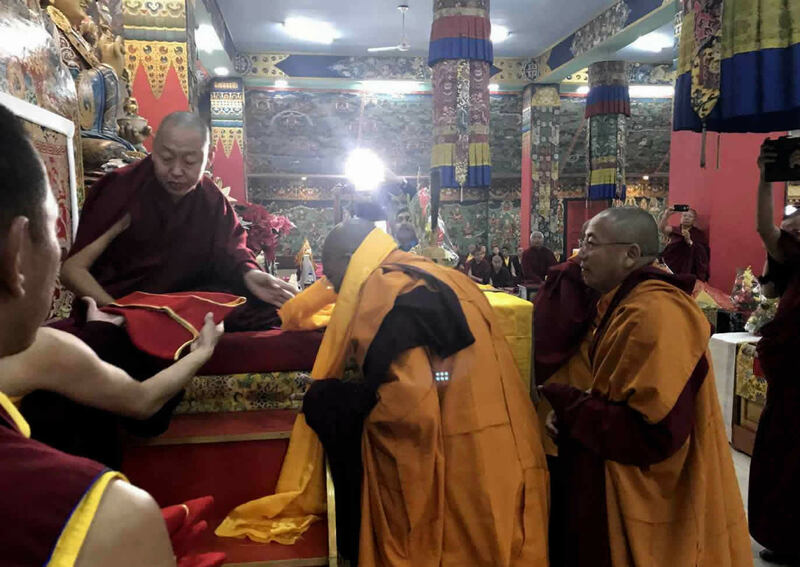 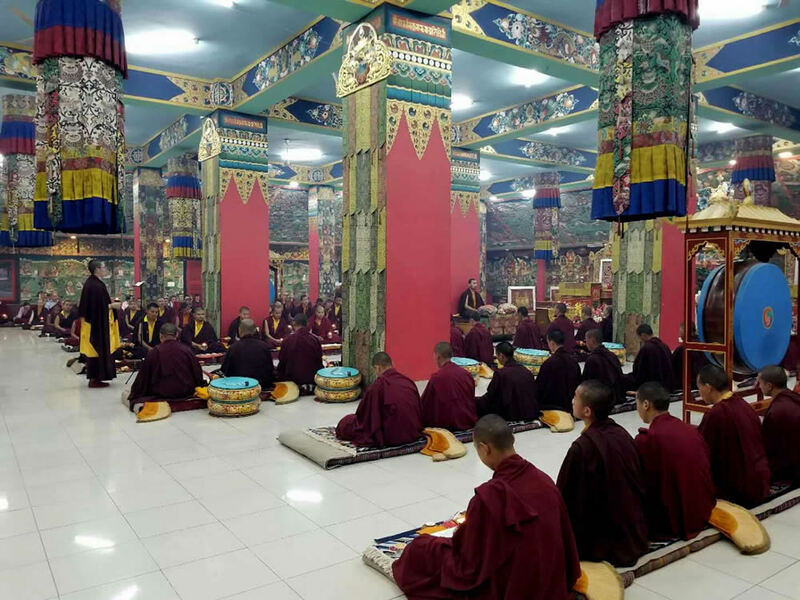 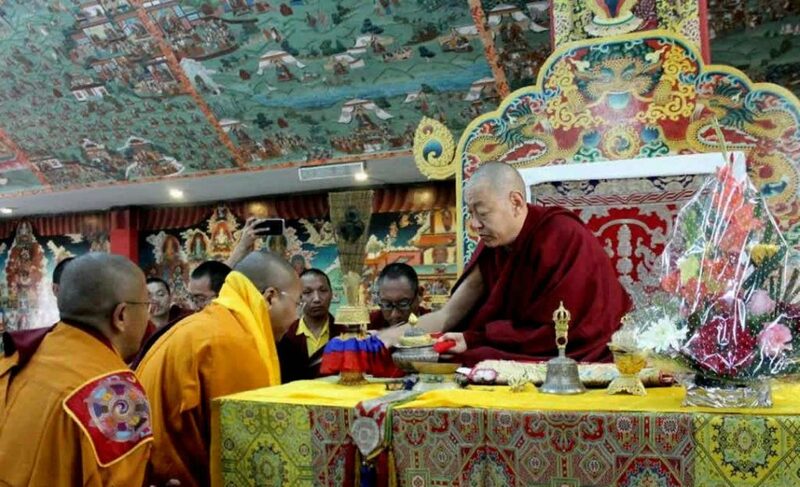 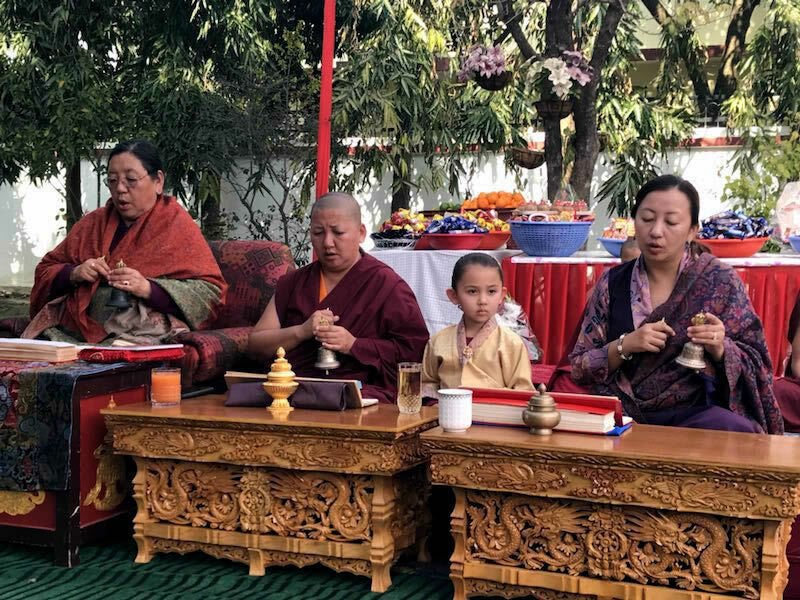 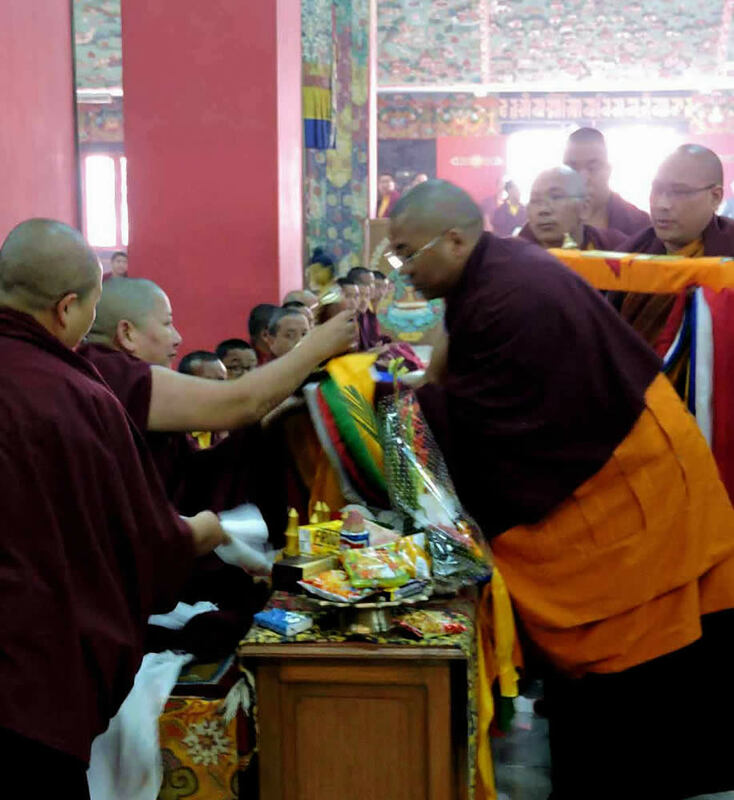 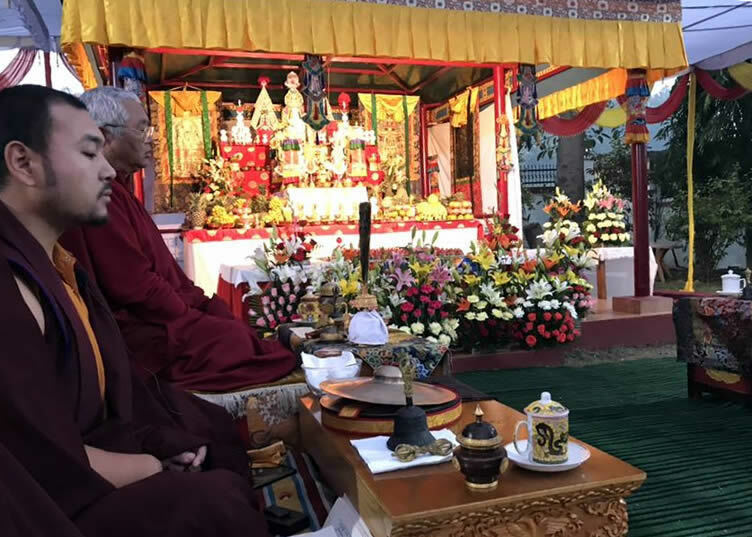 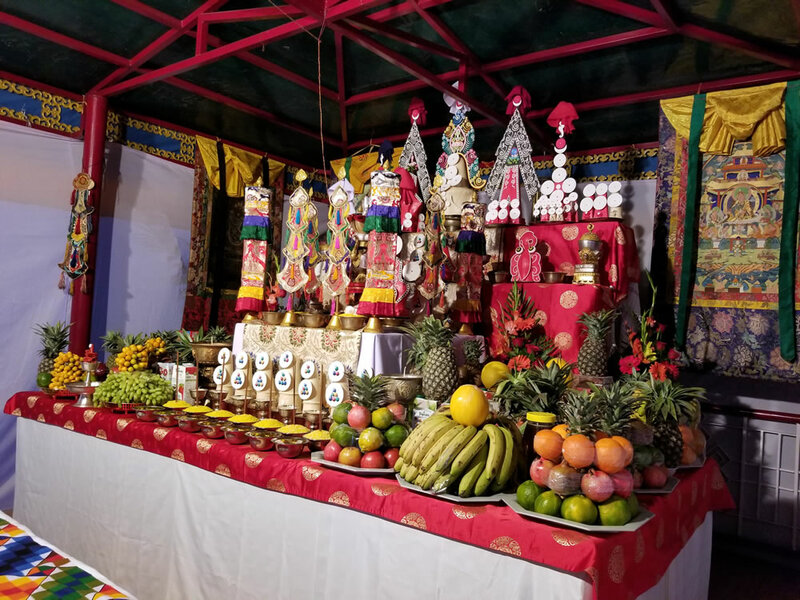 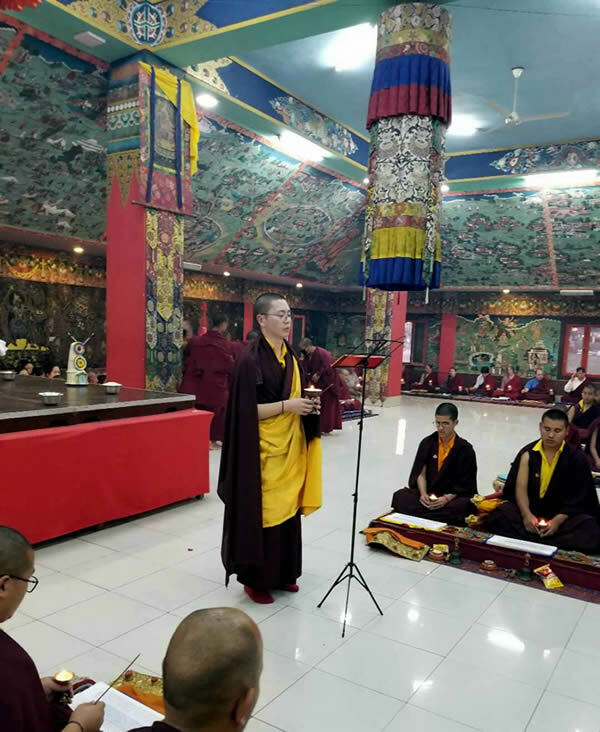 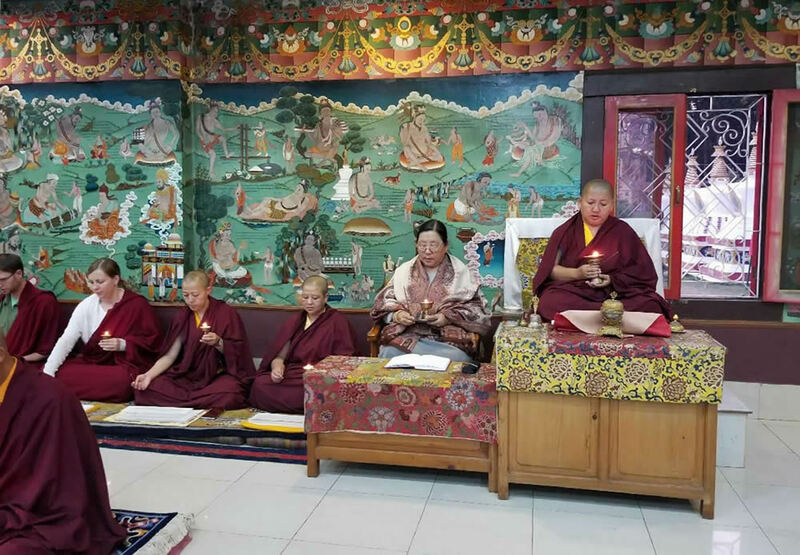 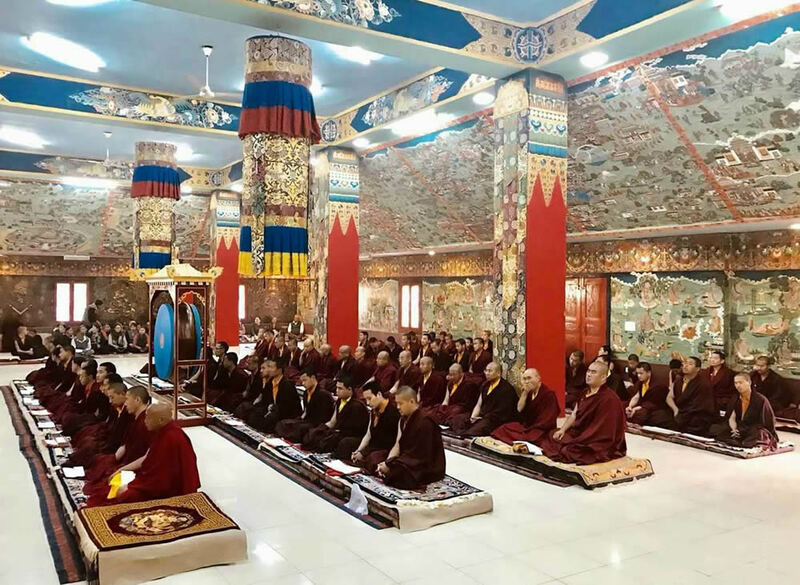 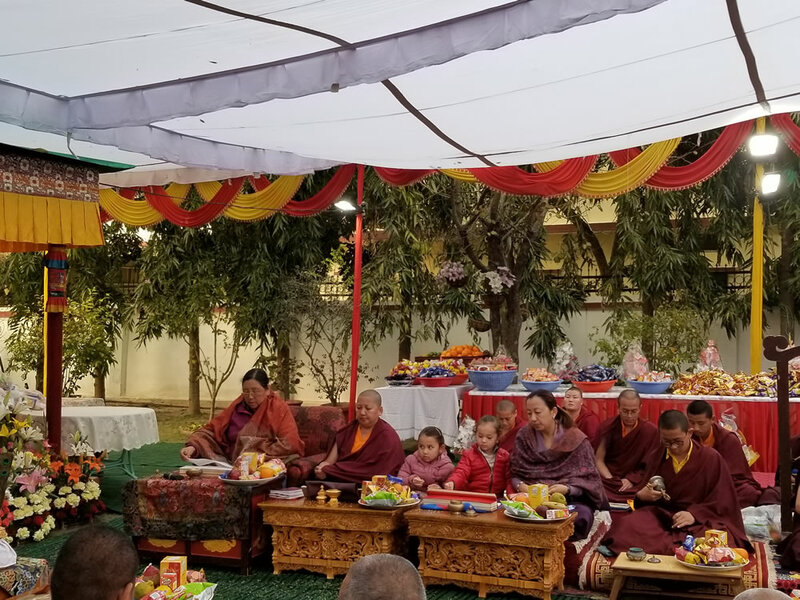 The ceremony was attended by Minling Sangyum Kushog, Jetsün Khandro Rinpoche, Jetsunla, Dungse Rinpoche, Jetsün Rinpoche, Venerable Nyoshul Khenpo Yangsi Rinpoche, monks, nuns and lay practitioners. 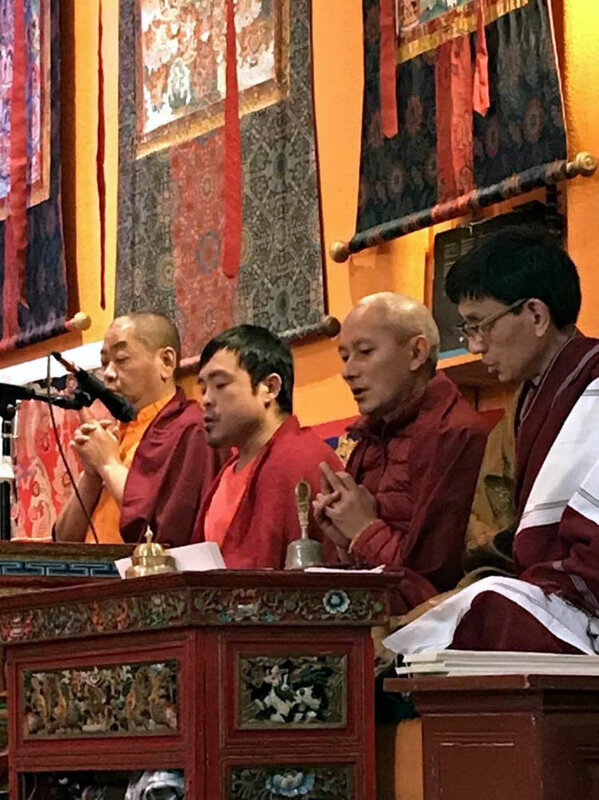 Members of the Mindrolling sangha in Virginia, New York City and Taiwan also gathered to commemorate the parinirvana of Kyabje Mindrolling Trichen making vast offerings and prayers. 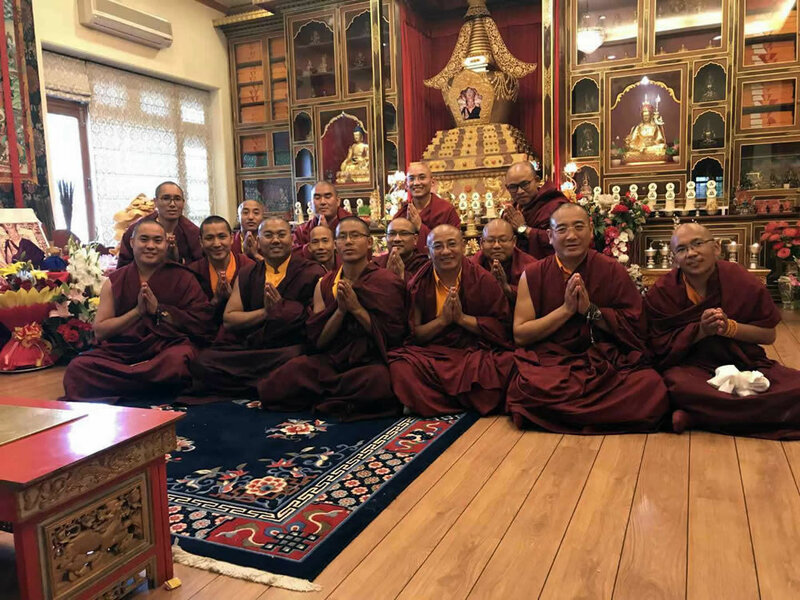 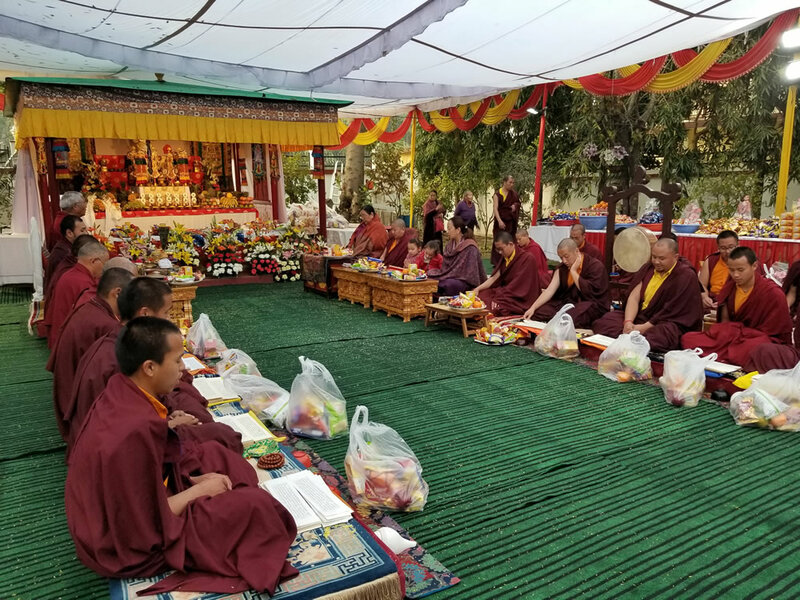 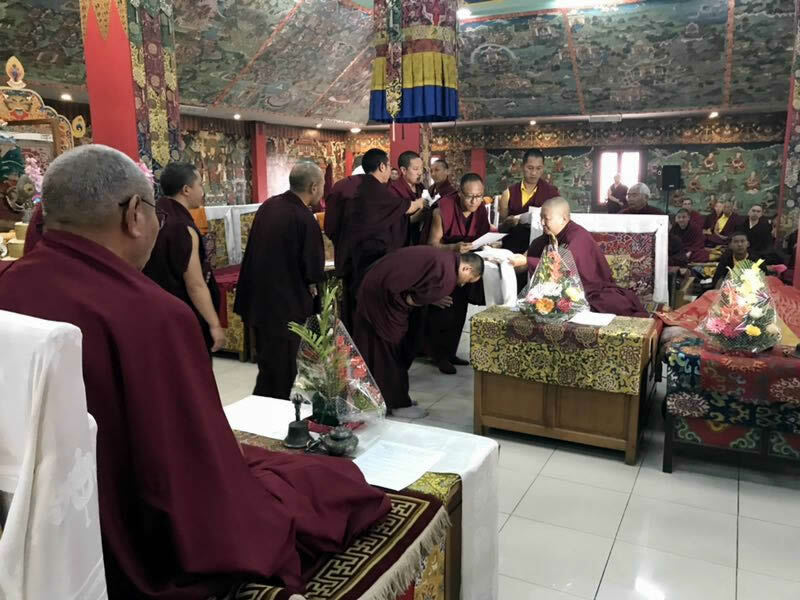 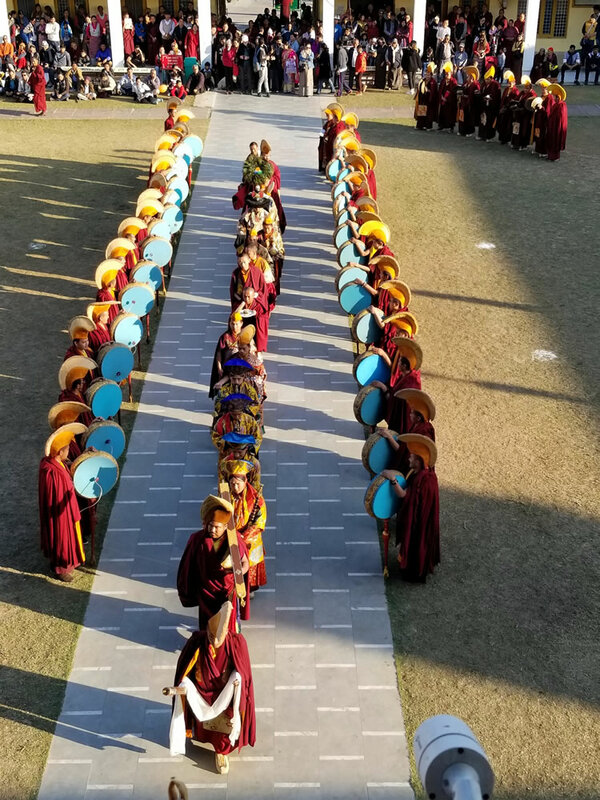 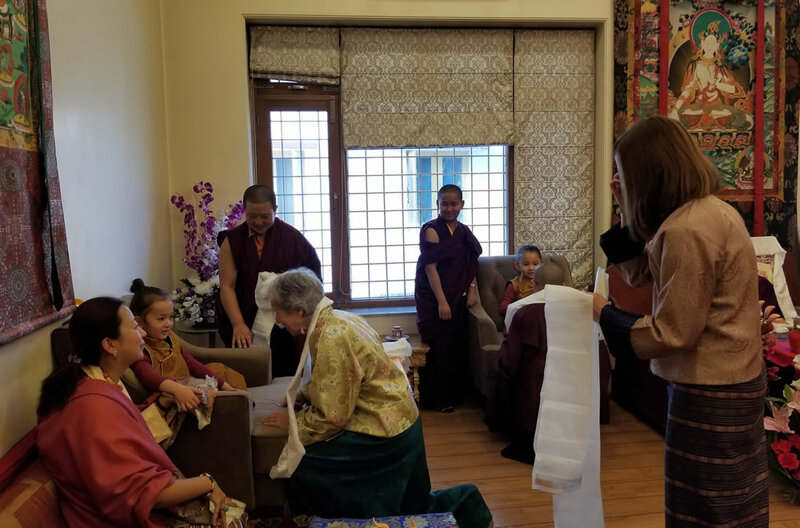 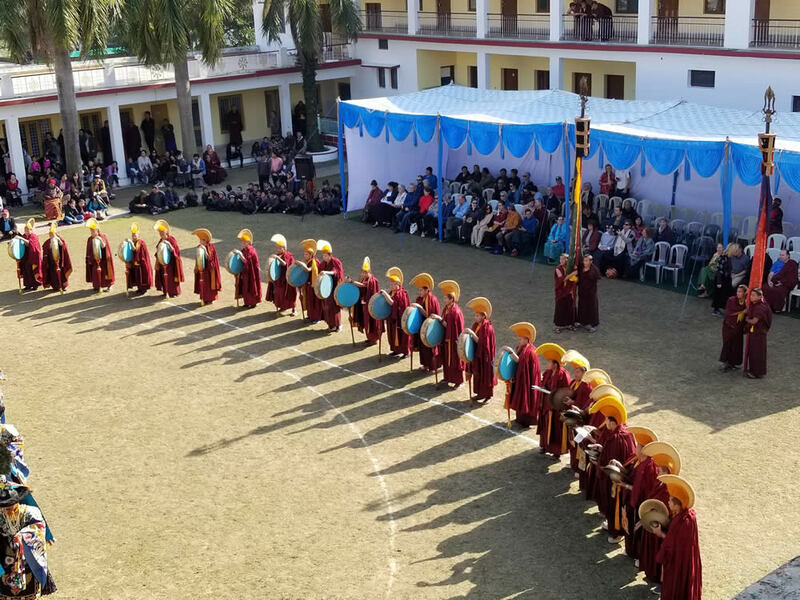 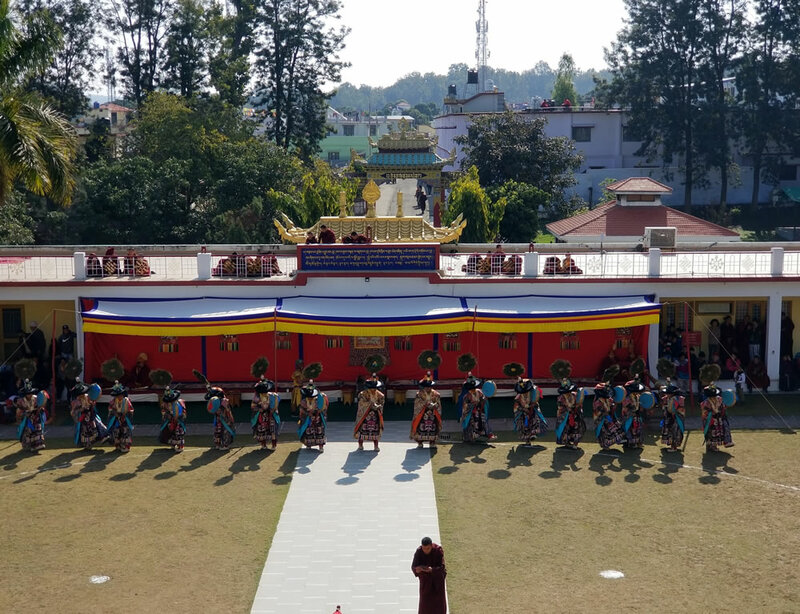 The Mindrolling Shedra marked the day with the enthronement of 15 new khenpos and certificate presentations to the lopöns and khenpos by Kyabje Khochhen Rinpoche, HE Khenchen Rinpoche and HE Jetsün Khandro Rinpoche. 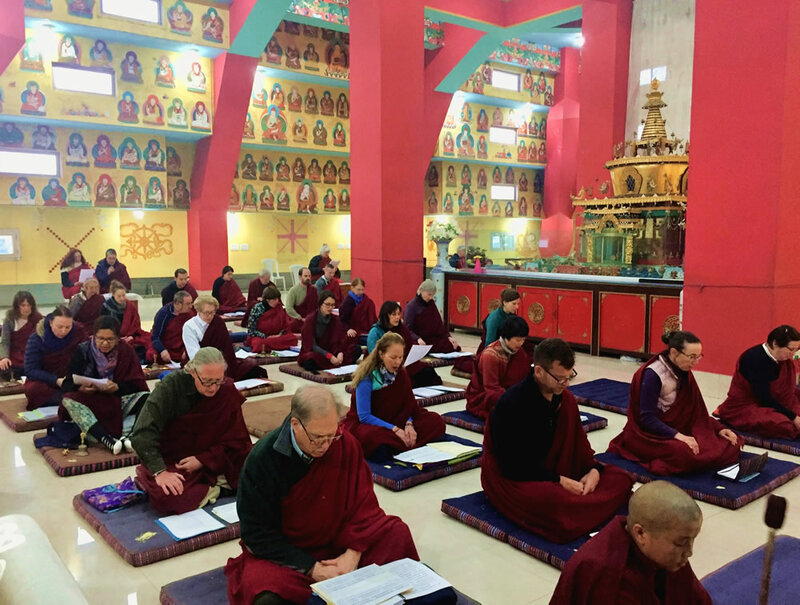 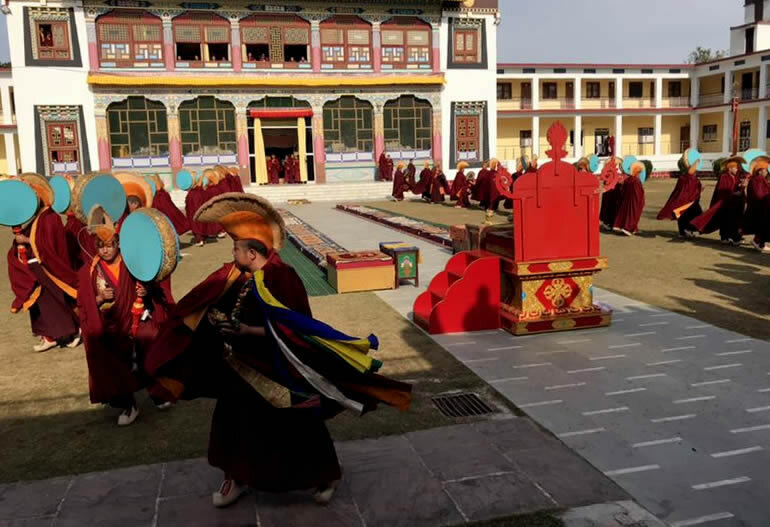 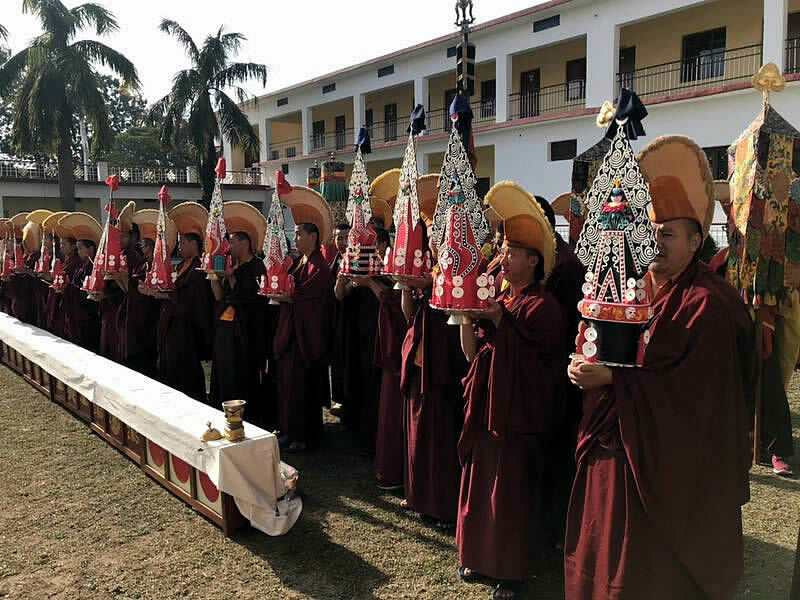 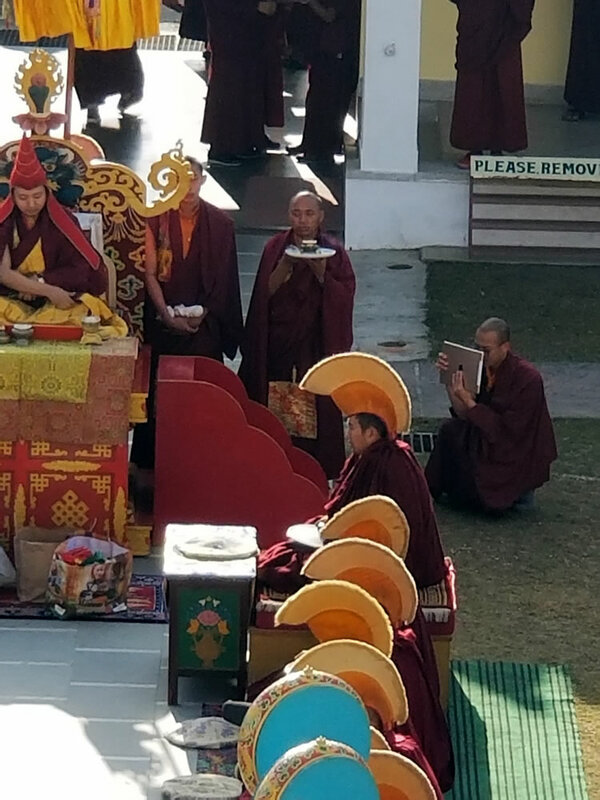 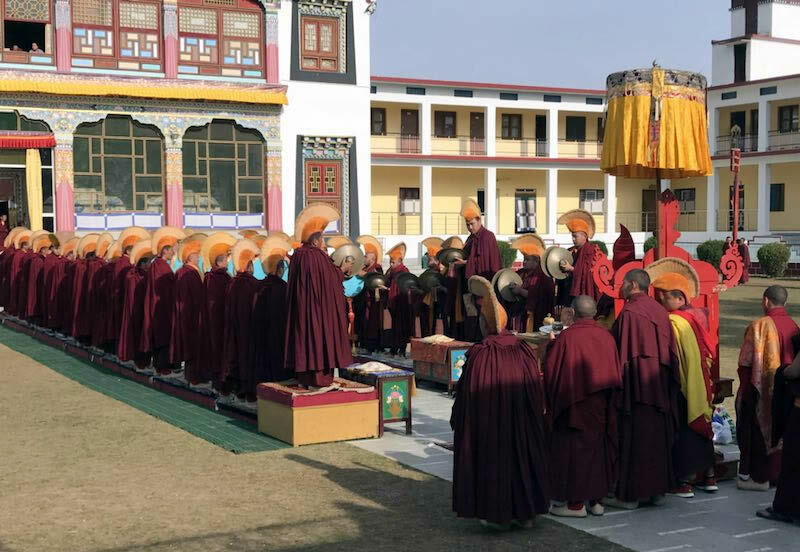 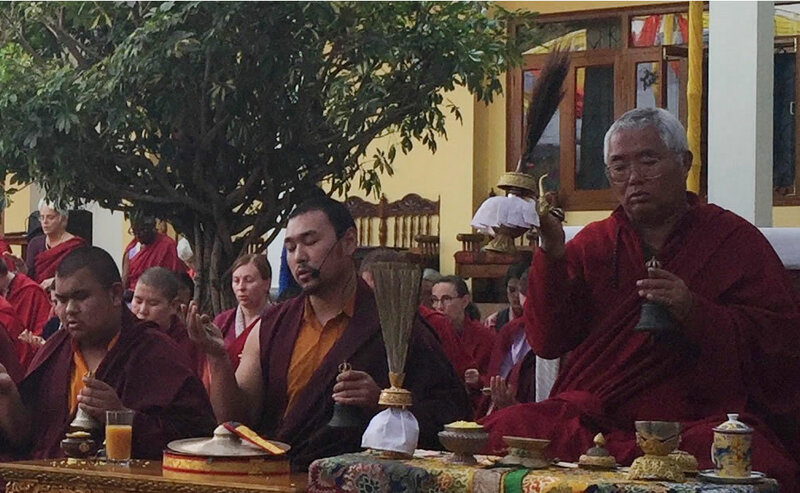 Phase two of the retreat came to a close on the 19th of February and retreatants began preparing for phase three — the great Thugje Chenpo (Red Chenrezig) Drubchen. 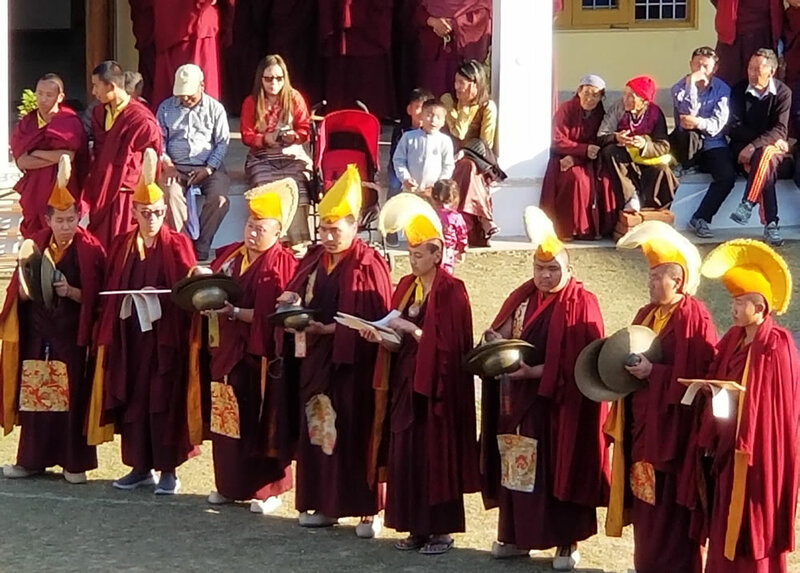 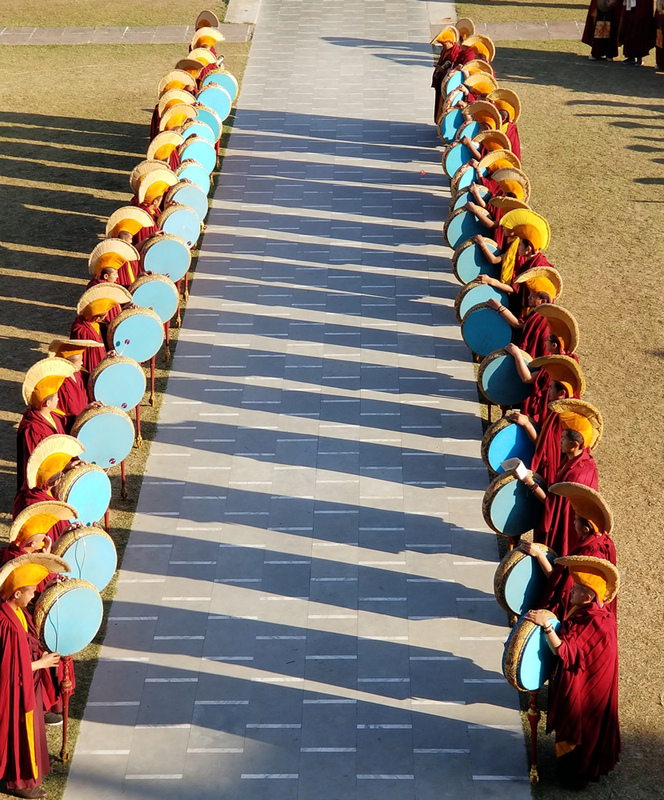 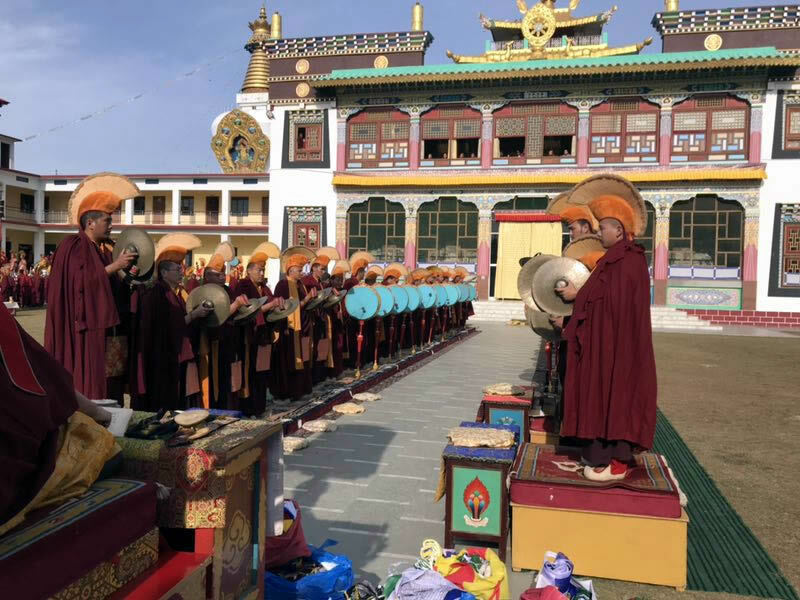 The Thugje Chenpo is one of the most sacred and profound practices within the Mindrolling tradition, which the tulkus and senior monks of Mindrolling perform annually to mark the parinirvana of Kyabje Mindrolling Trichen. 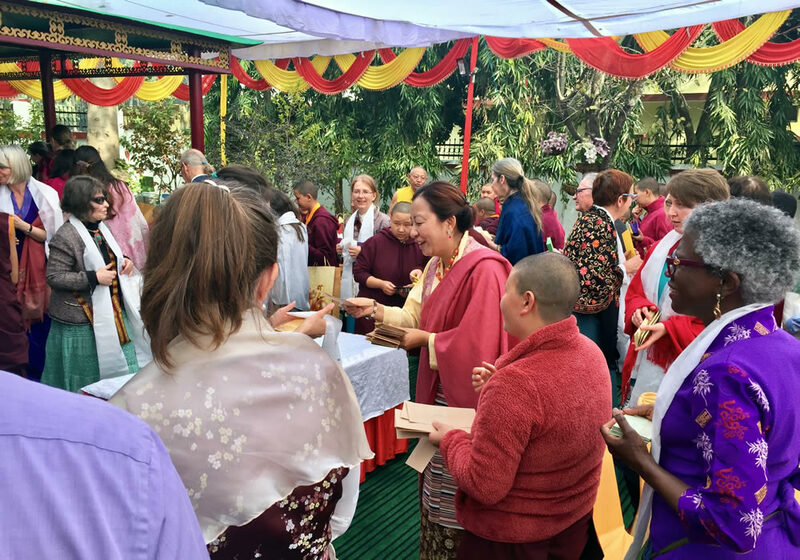 During this sacred time retreatants felt the downpour of tremendous blessings and reveled in their great good fortune in attending this profound drubchen and in their connection to the remarkable lineage of Mindrolling.